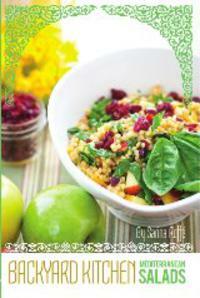 Sarina's Sephardic Cuisine - Kosher Family Recipes - Find every Dairy Recipe you can! Find every Dairy Recipe you can! During the 9 days we must abstain from eating meat and poultry. Every year at this time, I seem to break out every dairy recipe imaginable. Taking meat and poultry out of our diet is akin to taking bread away from us at Pesach. So how do we become vegetarians for a week? Middle Eastern foods are so heavily dependent on vegetables and fruit, that it is not hard for us. We must remember that in the old country, our families did not have much meat, and low priced foods had to serve many people. Meat of any kind was only served on Shabbat and is also acceptable during the 9 days. What are some ideas of things to cook? Here are some ideas. Spanach eb gibin (spinach and cheese – Popeye here we come! ), kusab gibin (same thing with squash), and any other gibin I can think of. How about leek? Keskasoon (couscous with chick peas and onion, Syrian style) – delish with mint garlic yogurt! And then there is the potato and veggie egeh? Instead of frying the egeh, put them in cupcake holders for individual servings. Kids love them with a little yogurt. And fish! Grilled fish, baked fish, steamed fish! If you bread the fish, instead of having a side of relish, try mixing a little pesto into mayo as a side. Delish! I know it’s hot but we love soup in this house. Lentil noodle, vegetable, minestrone (isn’t that vegetable?) and yes French onion soup (made with parve stock, it works, I promise!). My grandmother often made tomatoes and eggs, which we dipped into with pita bread, scraping the bowl as if it was the last drop of heaven. Don’t forget Italian pasta dishes like Penne with Pesto, penne alla vodka, any noodle with sautéed veggies, topped with cheese, and of course Syrian style calsonas (dumplings with egg noodles baked to a crisp!). These dishes help fill our tummies. Try making a focacia and of course a multitude of salads. Throw beans and slices of cheese into salads for protein. Pieces of fruit add sweetness. Asian dishes are also a great meal. Try stir fried vegetables with udon noodles or brown rice. Very healthy. Somehow we make it through the entire nine days with enough protein ending with a fast that commemorates the saddest day in the history of the Jewish people. On Tisha B’ab, we commemorate the destruction of our Bet haMiqdash in Jerusalem. Unbeknownst to some, this was the same day as the Expulsion of the Jews of Spain, and the sailing of Christopher Columbus from Spain (with several conversos aboard) to America.